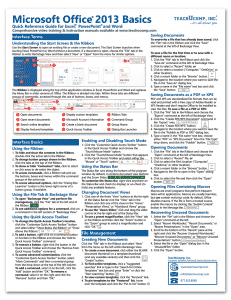 Microsoft Office 2013 Basics Quick Reference Guide - TeachUcomp, Inc.
New to Microsoft Office? Upgrading from a previous version? 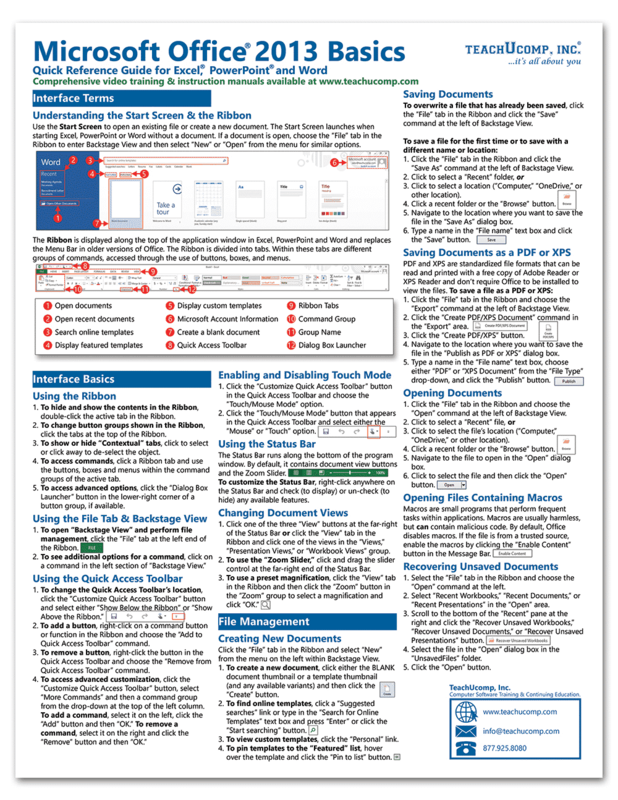 Designed with the busy professional in mind, this two-page laminated quick reference guide provides step-by-step instructions in the shared, basic features of Microsoft Excel, Word and PowerPoint. When you need an answer fast, you will find it right at your fingertips. Durable and easy-to-use, quick reference cards are perfect for individuals, businesses and as supplemental training materials. With 28 topics covered, this guide is ideal for someone new to Microsoft Office or upgrading from a previous version. Sale! $15 Courses! 0 Days 17 Hours 58 Minutes 31 Seconds $50 $15 Every course on sale!